Nebraska workers' compensation or workman's compensation laws were designed to provide medical and wage loss protection benefits to Nebraska employee's who have sustained a work injury or occupational illness in the course of their employment. Information for workers' compensation in Nebraska is found in the Nebraska Workers' Compensation Act, Section 48-101 to Section 48-1,118 of the Nebraska Revised Statutes. Workers' compensation is the exclusive remedy for Nebraska employees who have been injured at work and eliminates the need for injured employees to file a personal injury claim to recover compensation or damages. Workman's compensation is considered a compromise for both the employee and the employer. The employee will get benefits immediately after a Nebraska work injury, sacrificing money they may have won by filing a civil lawsuit and the employer must purchase workman's compensation insurance and pay for injuries they may not have been responsible for if they had won a civil action. If you have been injured in a Nebraska work injury you may not have thought about hiring a Nebraska work comp lawyer. Maybe you think you can not afford to hire a work compensation attorney. Under Nebraska work injury laws a Nebraska work compensation lawyer will only be paid if they win work compensation benefits for you. Not all Nebraska employees will need a work comp lawyer, but if you have suffered a permanent or serious work injury or if you have been denied workman's compensation benefits, contact a Nebraska lawyer. Many workers' compensation lawyers in Nebraska will provide a free consultation and we will answer your questions and help you get the benefits you deserve. Need legal help getting benefits for your Nebraska workers compensation case? Simply complete our free form below to get started today! Abrasions, Burns, Back and neck injuries, Amputations of arms or legs, Concussions, Heart attack or strokes on the job, Carpal Tunnel, Diseases caused by inhalation of chemicals or other toxins, Bone fractures, Hernia, Chronic Obstructive Pulmonary Disease, Post traumatic stress disorder (PTSD), Torn Rotator Cuff, Concussion, Asbestos exposure, General anxiety disorder. Workers' compensation laws vary by states but most states provide medical benefits, lost wage replacement benefits, vocational rehabilitation and death benefits. Medical Benefits - Medical benefits are provided to Nebraska workers who have been injured on the job and can include all reasonable and necessary medical expenses. Common medical benefits which the employer is liable to pay for can include: hospital services, medical supplies, prescribed medication, doctor's visits, and laboratory services. Expenses for travel to medical appointments may be paid in some in cases. Specific rules apply for whether or not an employee or employer can choose a treating physician. Talk to your employer prior to making any type of medical decision. Temporary Total Disability Benefits (TTD) - Temporary total disability benefits (TTD) may be paid to an injured employee who is temporarily unable to work due to their Nebraska work injury. TTD benefits are paid at 2/3 of the worker's average weekly wage, up to a maximum established under Nebraska state law. TTD benefits are not paid for the first week of missed work. If the worker misses six weeks or more of work they will be compensated for the first week of missed work. 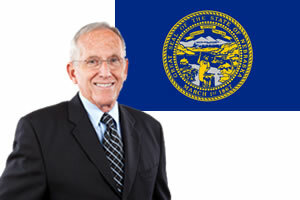 TTD benefits are paid to Nebraska employees for as long as the treating physician indicates the worker can not work due to their Nebraska work injury. Temporary Partial Disability Benefits - Temporary partial disability benefits (TPD) are paid to Nebraska employees when they are able to work but due to their work injury or reduced work schedule they are unable to make the same wage. Temporary partial disability benefits may be paid up to 300 weeks and are 2/3 the differences between the worker's wage at the time of the work injury and the wage after the work injury. Permanent Partial Disability Benefits (PPD) - Permanent partial disability benefits may be paid to employees who have lost the use of part of their body due to a work injury. Some body parts are scheduled and there is a statutory value attached to their loss. The rate of pay for scheduled body parts is 2/3 of the worker's average weekly wage multiplied time the number of weeks outlined in the scheduled (subject to a minimum and maximum amount outlined in Nebraska state law. PPD benefits are also paid for permanent partial disabilities to the body as a whole. For non-scheduled PPD benefits the calculated amount is based on the percentage of the disability multiplied by 2/3 of the employee's average weekly wage. Permanent Total Disability Benefits (PTD) - Permanent total disability benefits may be paid to Nebraska workers who have been injured at work, have reached their maximum medical improvement level but continue to have disabilities which make it impossible to work. PTD benefits are paid as a percentage of the employee's average weekly wage and are paid for the duration of the disability. Death benefits - Death benefits are paid to the surviving spouse and dependents. The surviving widow is paid death benefits at 66 2/3% of the deceased employee's average wage at the time of the Nebraska work injury. If the spouse has children they may be entitled to 75%. Surviving children may receive Nebraska death benefits until they are 19 years old or longer if they are enrolled in college. Burial expenses may also be paid up to the state's maximum allowable amount which is currently $6,000. Death benefits for spouses may cease when the spouse remarries but the widow may be entitled to a 2 year death benefit lump sum payment at the time of their remarriage. Vocational Rehabilitation Benefits - Vocational rehabilitation benefits may be offered to Nebraska employees who have been injured from a work injury and are unable to return to their previous job. Vocational rehabilitation services are optional. Vocational rehabilitation development should be paid by the Nebraska employer. If you having difficulty getting the vocational rehabilitation benefits you need to find suitable employment after your Nebraska work injury, contact a vocational rehabilitation specialist at the court.